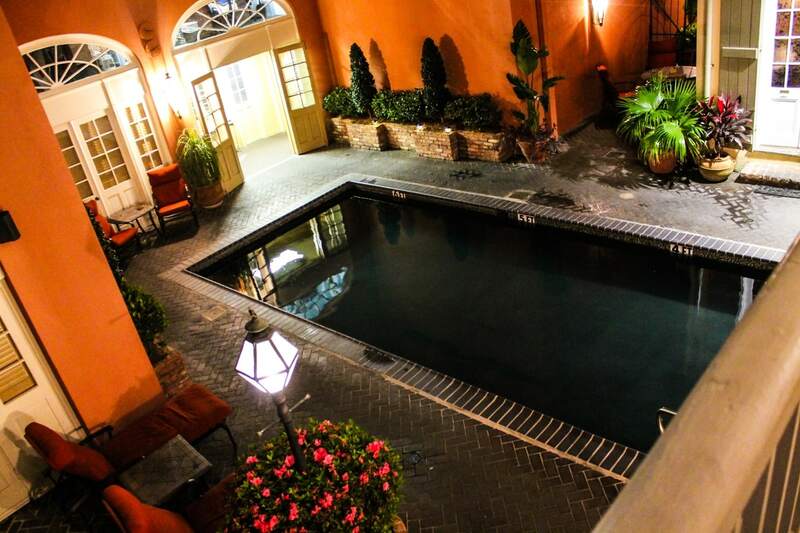 Nestled in the heart of the French Quarter, this distinctive boutique hotel known as the Dauphine Orleans Hotel is rich with history and brimming with charm. 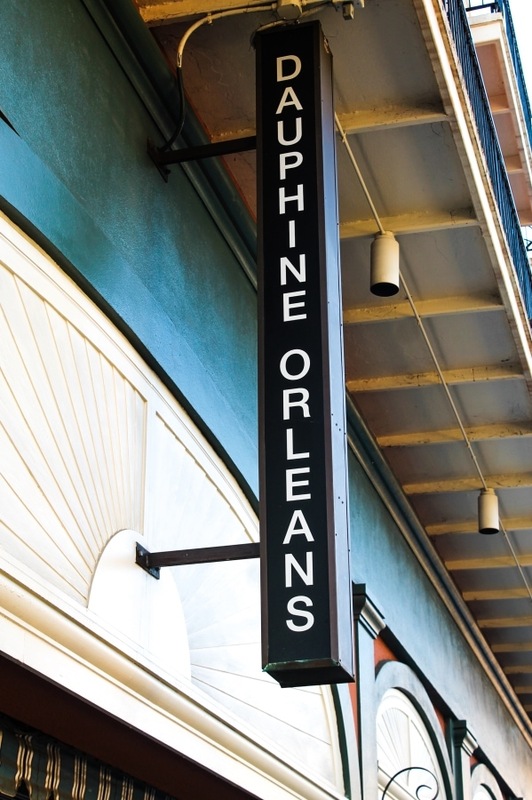 Trust us when we say there’s no place like New Orleans — or the Dauphine Orleans. 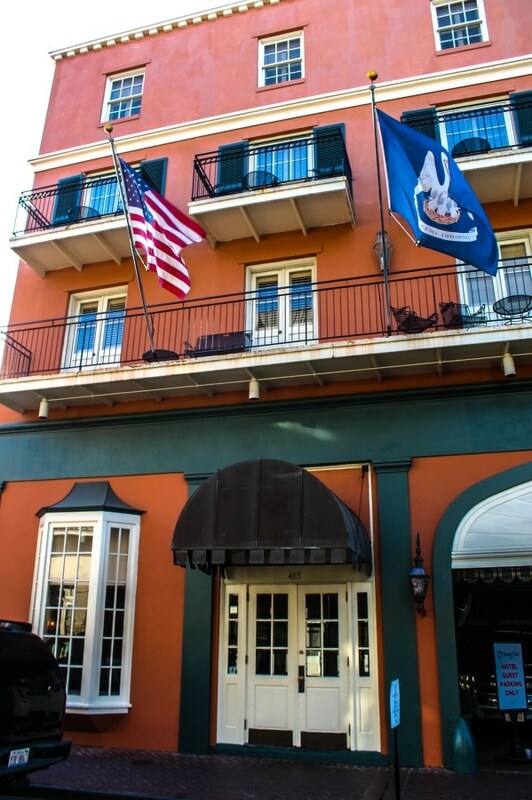 The historic hotel dates back to 1821 and once served as a bordello in Storyville, the famed red-light district of New Orleans during the late 1800s and early 1900s. 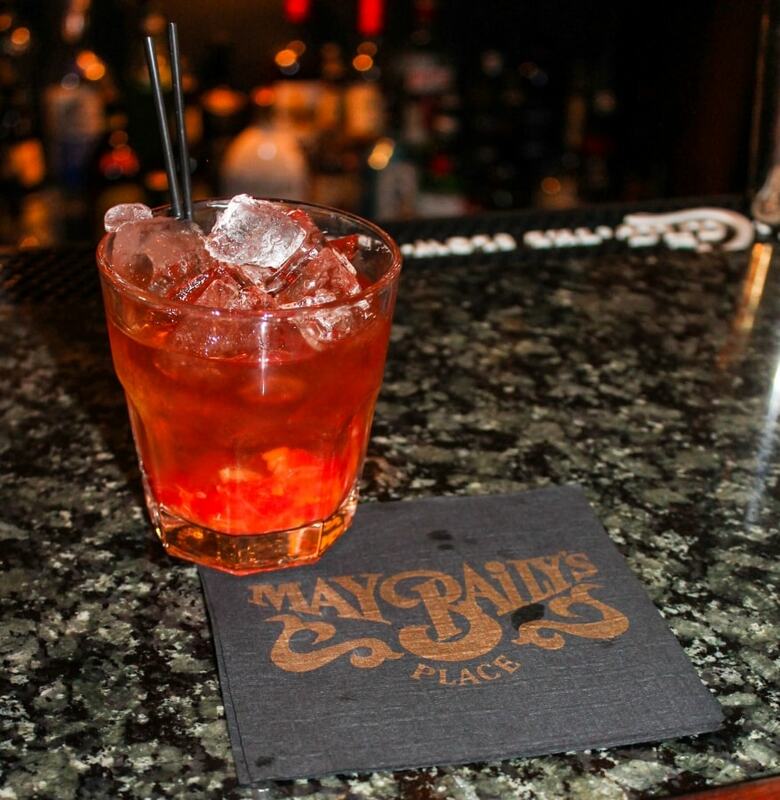 May Baily’s Place is the hotel’s Victorian-style bar known for its hauntings and named after Madam May Baily herself who owned and operated the bordello for years. 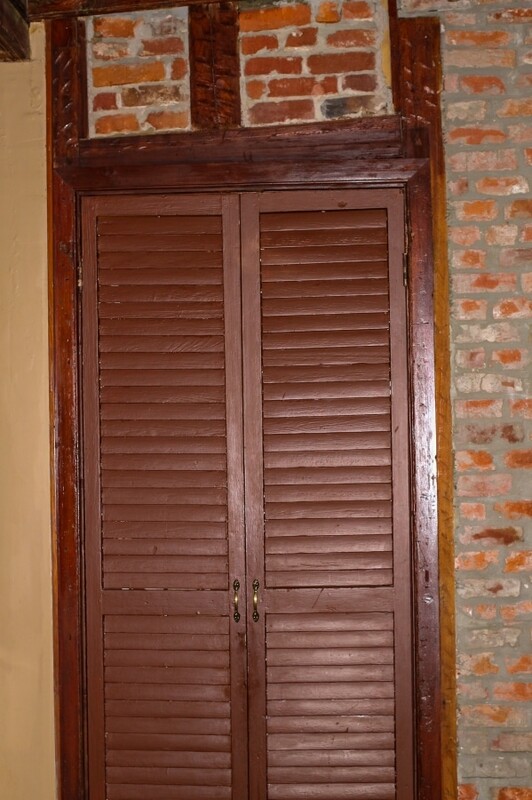 For history buffs, the old building – and the entire city of New Orleans for that matter – is a mecca for ancient tales of unsolved crime and paranormal experiences. 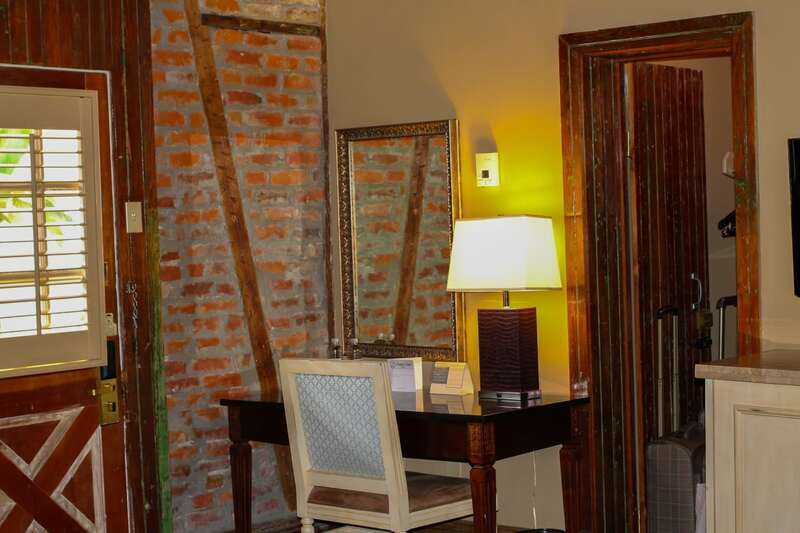 Tucked away from the noise of Bourbon Street at 415 Rue Dauphine St., the darling hotel offers its guests a cozy get away while remaining in the heart of the French Quarter. 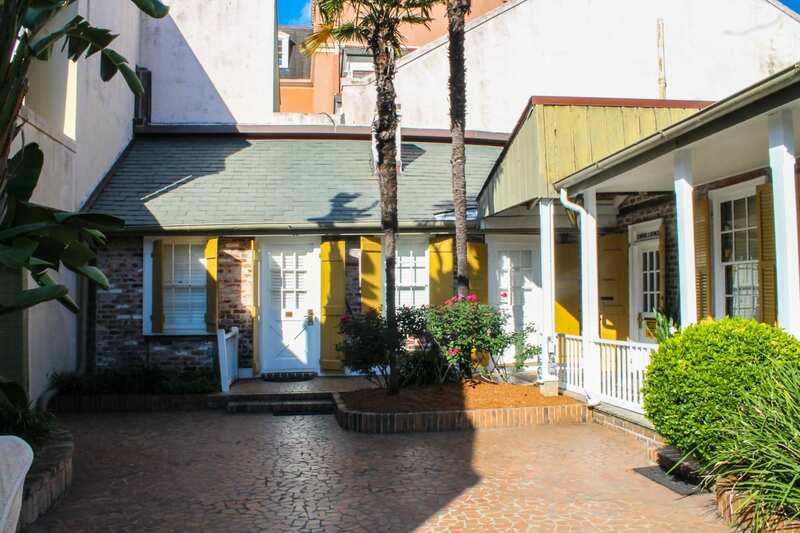 Located within walking distance from many iconic New Orleans establishments like Café Du Monde, Jackson Square, Bourbon Street, and the abundant restaurants, cafes, and bars the French Quarter is famous for, walking shoes are essential. There is a safe area with covered parking to valet your vehicle if you’re driving into New Orleans. 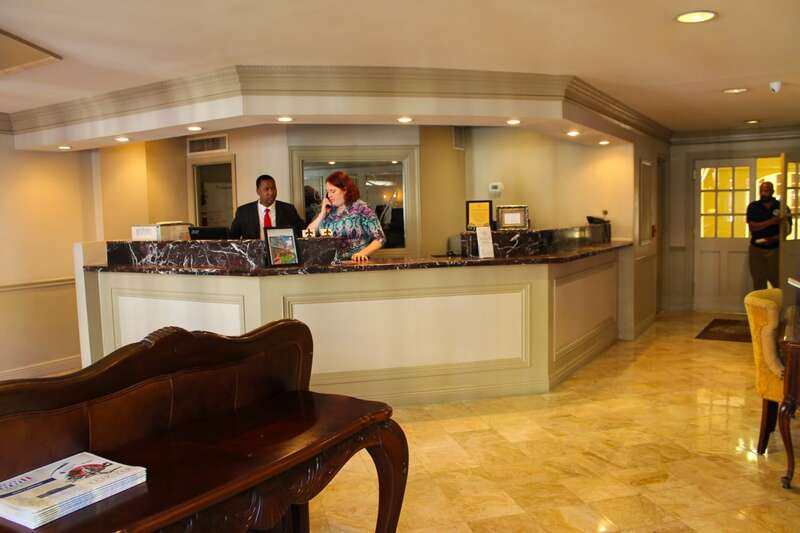 The streets are small since it is an older city, however, your vehicle is safe in the hotel’s garage where a valet attendant is always present. 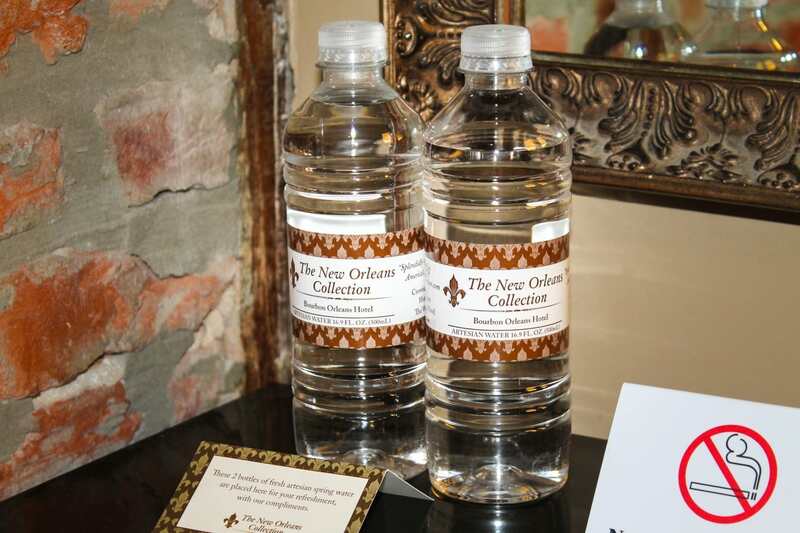 In classic New Orleans fashion, guests are welcomed with a complimentary drink upon check-in at May Baily’s Place. 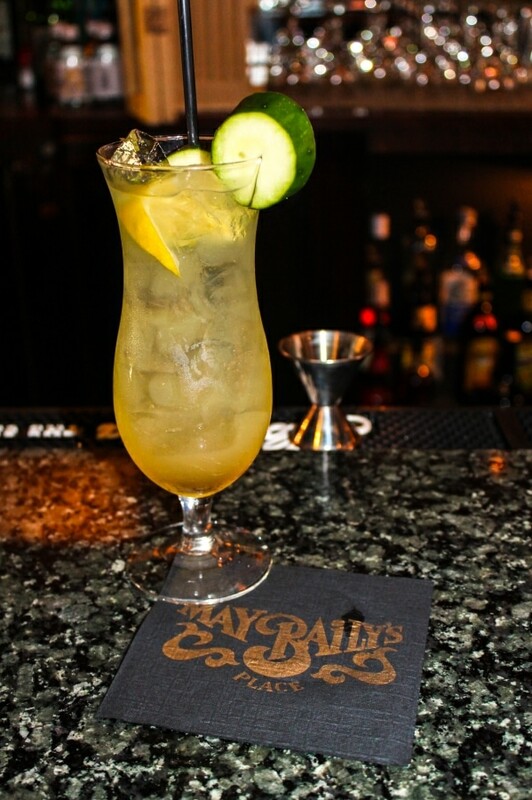 Greeted by friendly bartenders, locals, and patrons from all over the world, May Baily’s Place is the perfect introduction to New Orleans. Bartenders are eager to serve up landmark cocktails, decently priced beers, and great conversation about the city they live and work in. 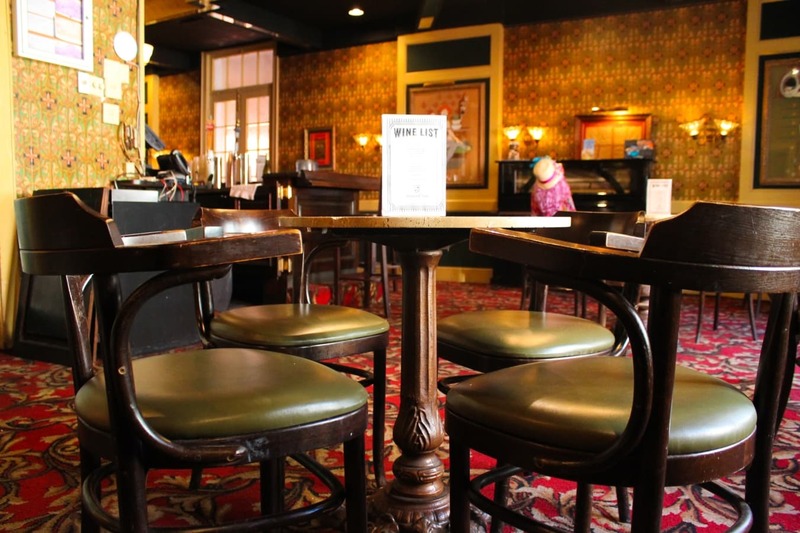 As you browse around the old bar you’ll notice the walls coated in Victorian-style wallpaper and history. 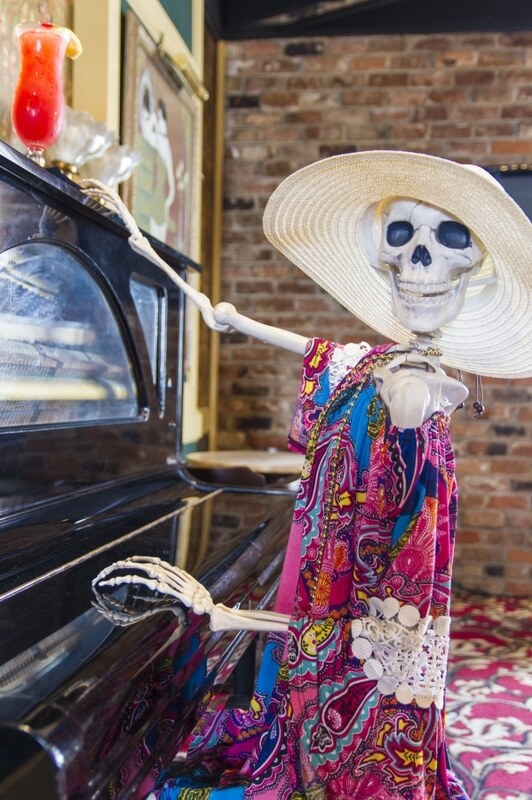 The staff are rife with stories about the residents whose spirits never left the old bordello. 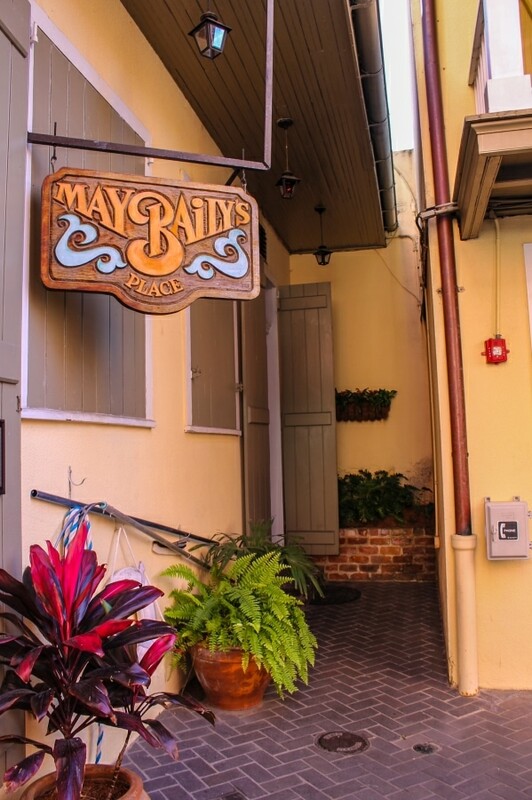 May Baily’s place is often a pit stop on ghost tours and some tourists claim to have experienced paranormal activity while walking through the old bar. 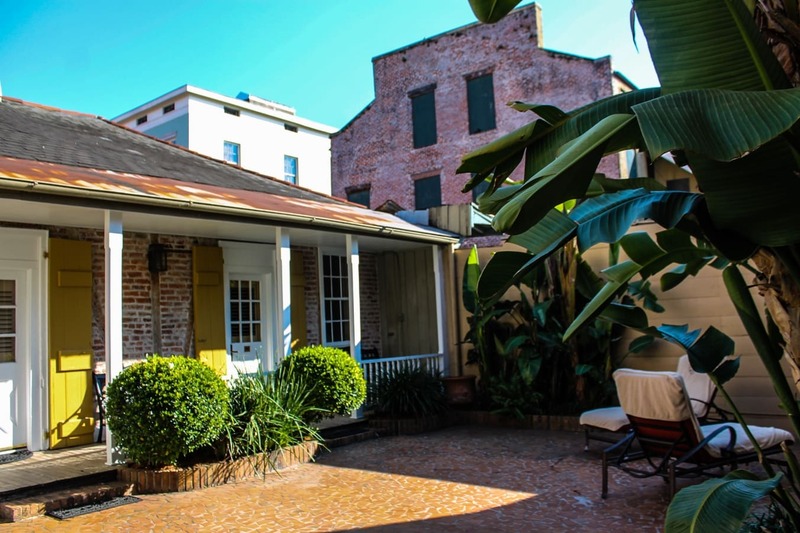 It comes as no surprise the famed bar is featured on Travel Channel’s “Ghost Adventures” after staff and patrons shared their frightening stories; some even claiming to have seen Ms. Baily herself. 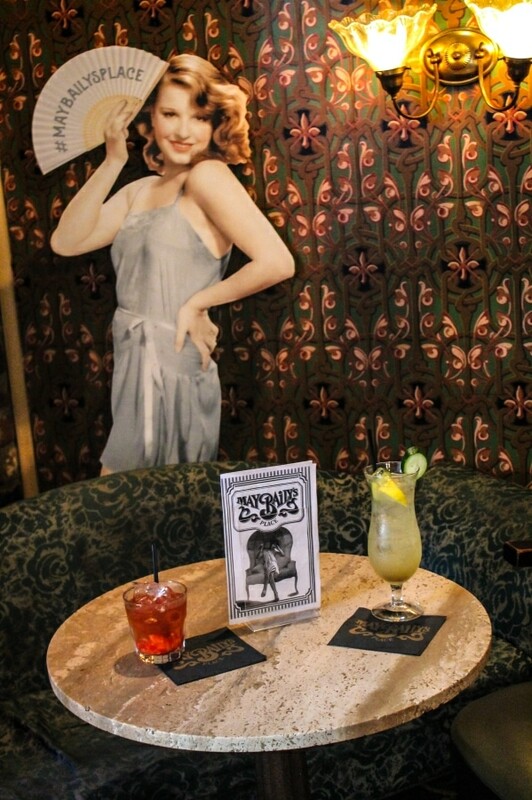 On the walls, you will find portraits that pay homage to madams by the famous Storyville photographer E.J. 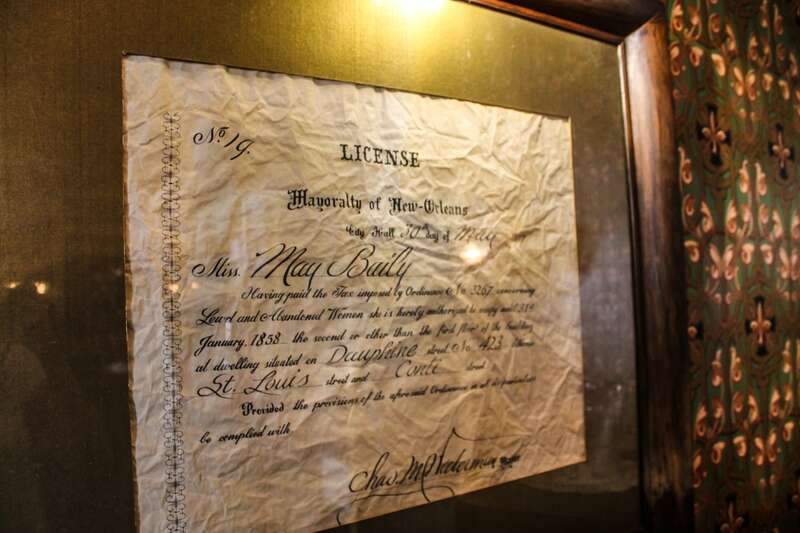 Bellocq as well as a framed copy of the operating license issued to May Baily herself. A red light still burns in the center of the courtyard reminding guests of the hotel’s past. A lustrous garden and shrubs flank the beautiful cottages on the property which is beautifully landscaped to coincide with the season. 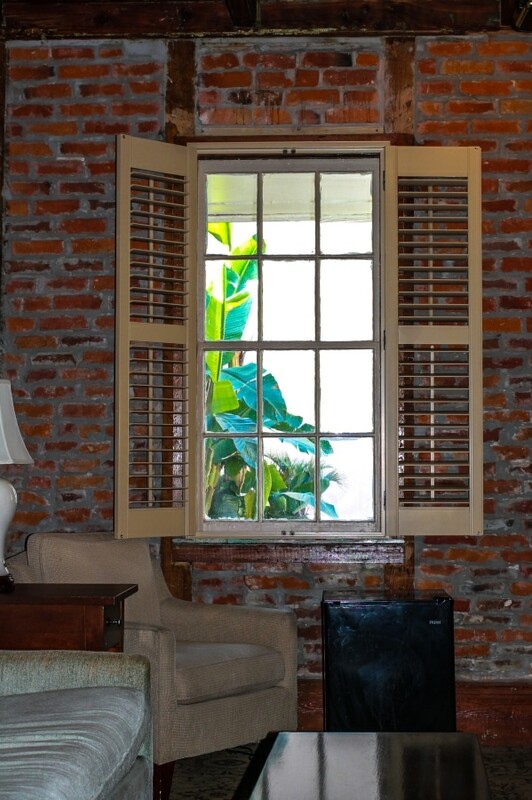 Old English brick encases the cottages with wooden, honey Dijon painted shutters that frame the windows and doorways. 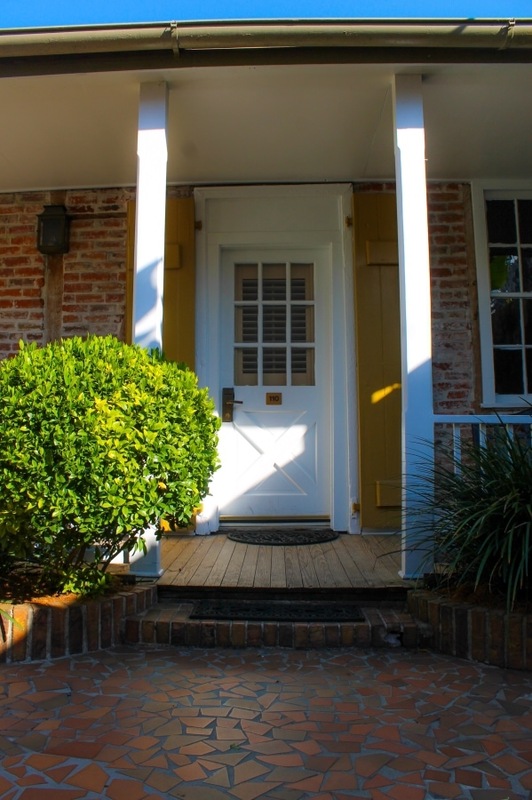 What makes these cottages cozy is a signature southern porch carved of wood accompanied by a bench that overlooks the courtyard and shrubs. 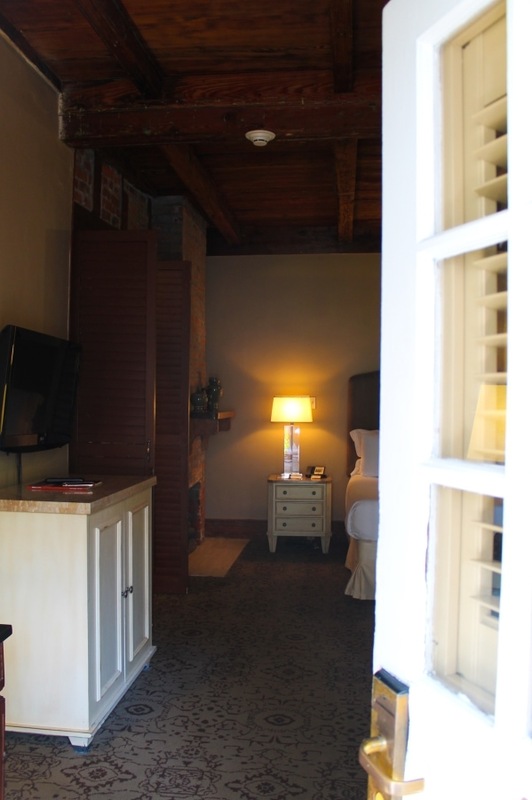 It’s easy to forget you’re staying in the French Quarter. 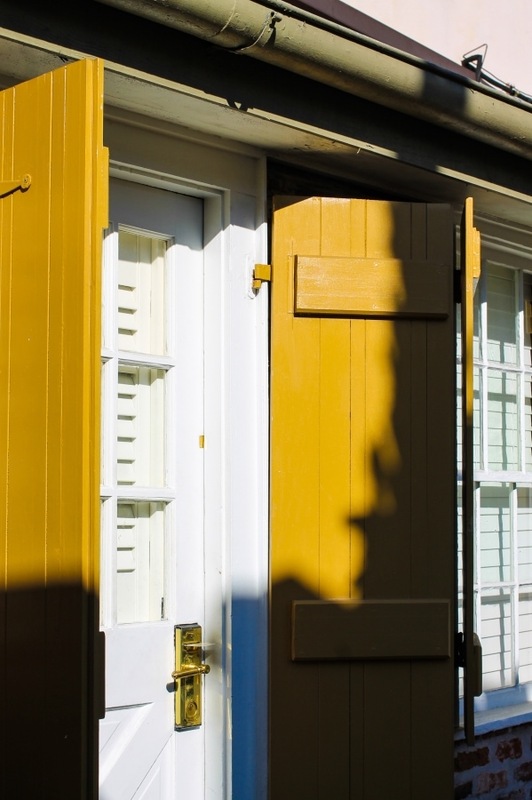 Breakfast is included with your stay, and if you’re staying in one of the cottages, it’s only a few steps down from your door. The interior of the cottage is just as delightful. 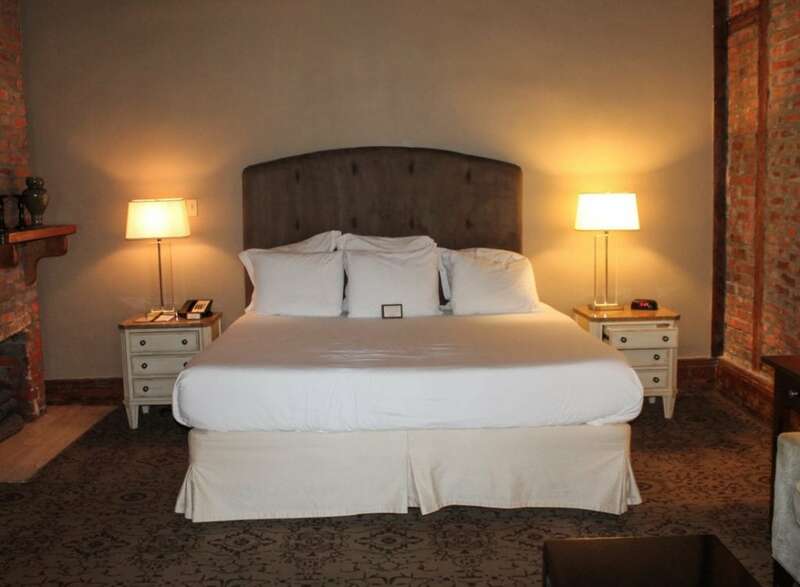 Equipped with a cozy king bed, a desk, small fridge, walk-in closet, in-room safe, iron, blow dryer, walk-in shower, and cable tv, it makes it hard to ever leave. 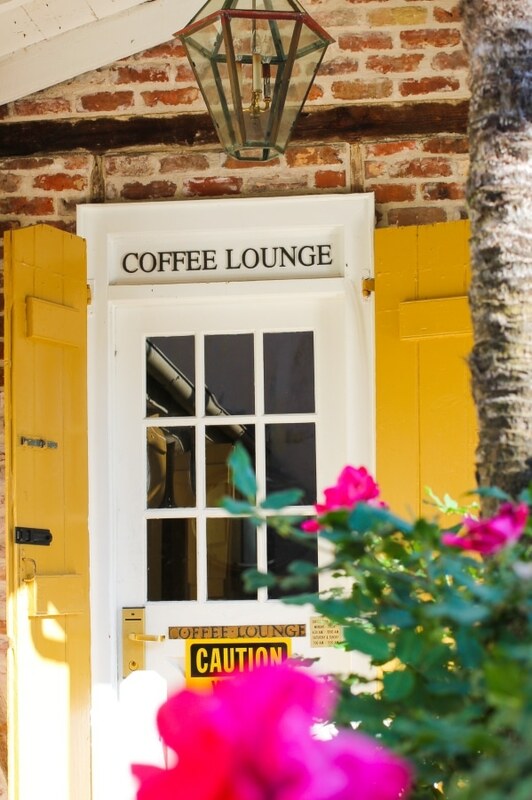 But the streets of the French Quarter beckon you. 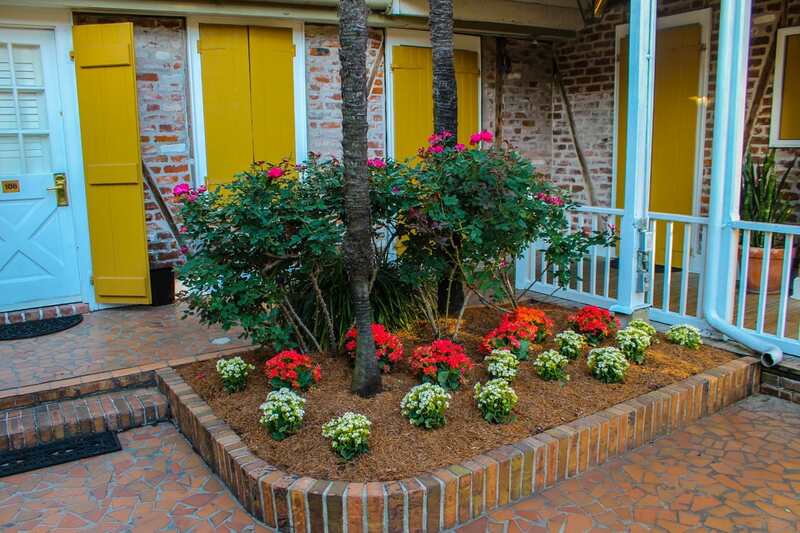 If a balcony is more your thing, the Dauphine Orleans offers rooms that overlook the street below. Everything is within walking distance or a short bike ride. 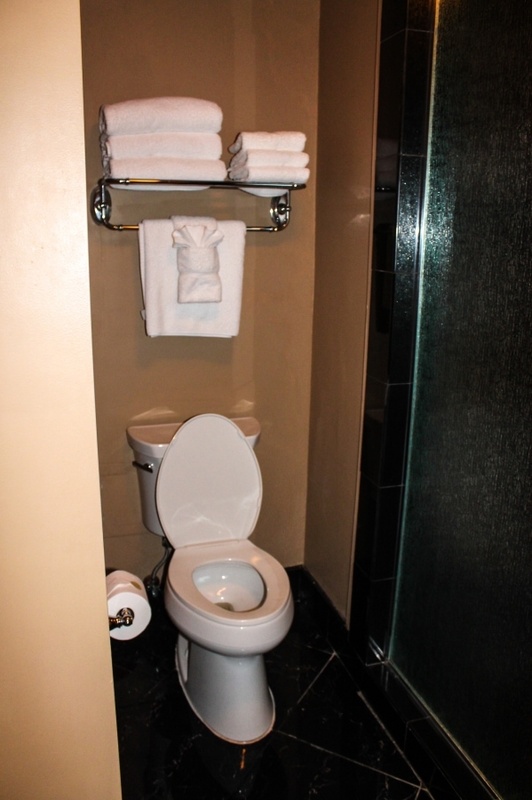 Although a complimentary buffet-style breakfast is included, delivery and walking options are easily accessible. Verti Marte is a New Orleans staple and will deliver your food at the lobby for a very reasonable price, which is something you’ll love about this city. A small coffee maker is also included in cottage rooms. 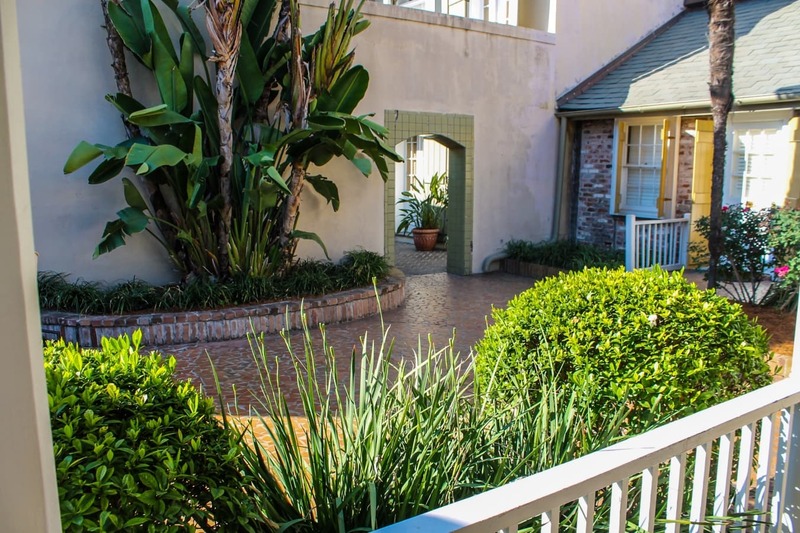 Just around the corner from your courtyard lies a saltwater pool, ice machine, and a fitness center where you can break a sweat or just cool off. 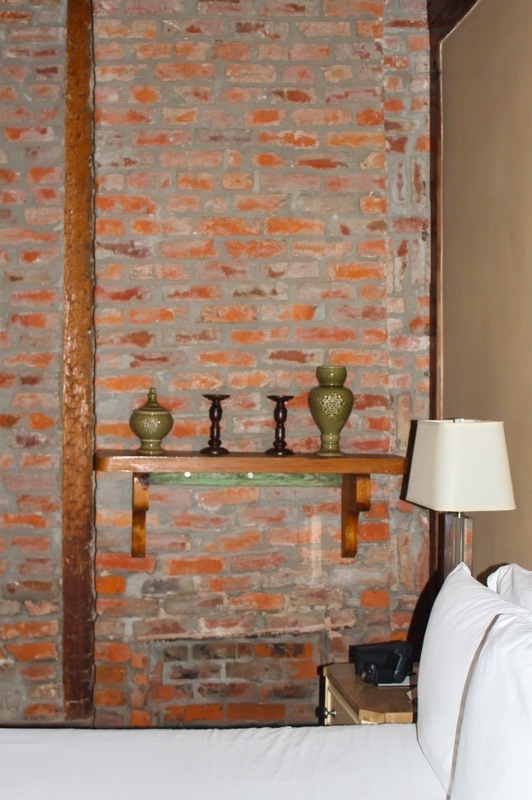 The room has a rustic vibe and the exposed brick and dark wood molding really give this cottage an apartment-style feel. 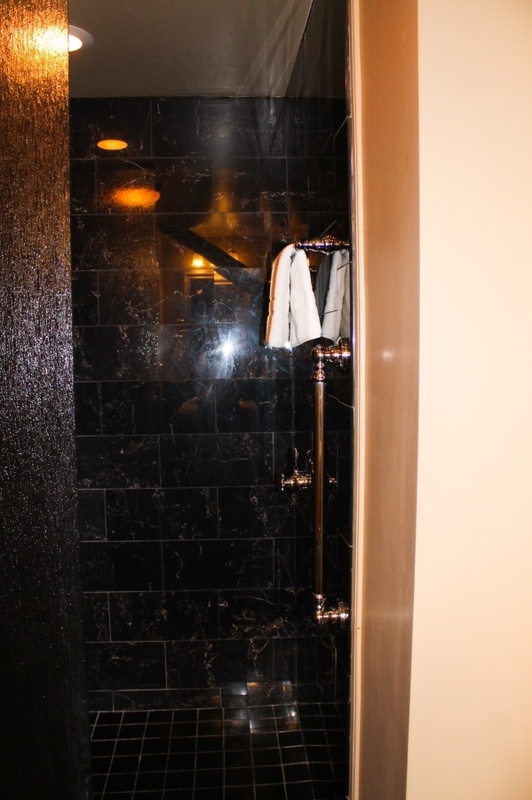 It’s an instant favorite the moment you walk in. To the left of the pool is May Baily’s Place. It’s the perfect location to grab a cocktail and catch some rays. The saltwater pool is surrounded by plants and loungers making it the perfect area for relaxation. 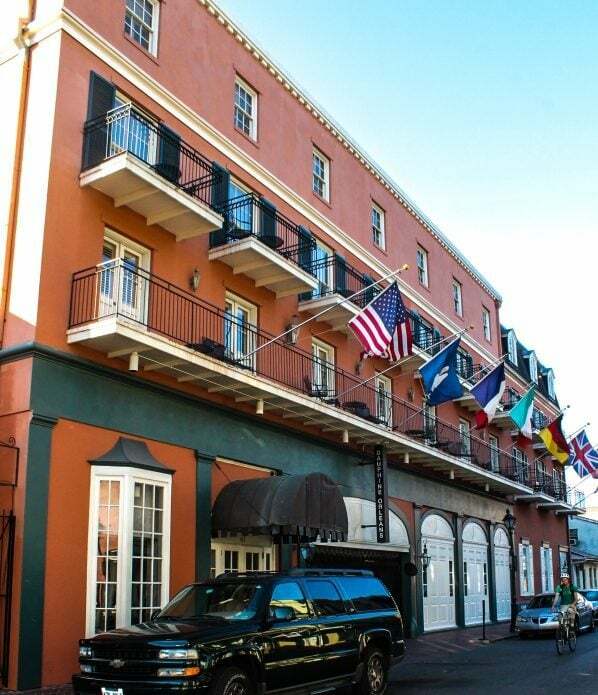 While there is a plethora of French Quarter Hotels to choose from, this is one of the best hotels in New Orleans due to location, available amenities, a colorful history, its proximity to bars and restaurants, and its uniqueness and contribution to the history of New Orleans. 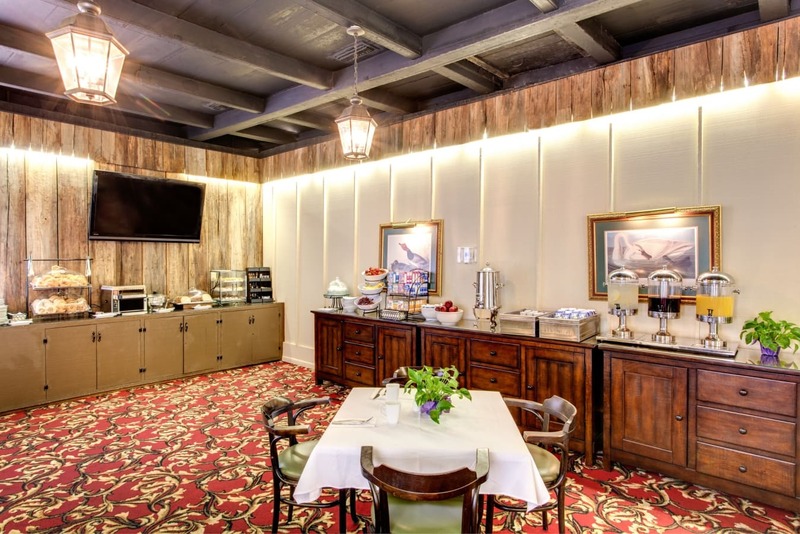 The property also serves as a versatile event space for weddings, meetings, and events. 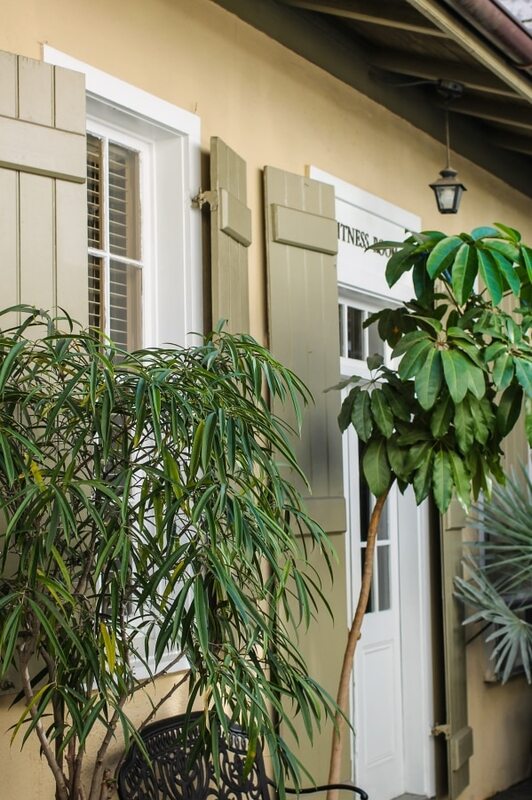 What’s great about the Dauphine Orleans is that it grants guests the ability to comfortably relax in a lively place such as New Orleans without feeling over and underwhelmed. 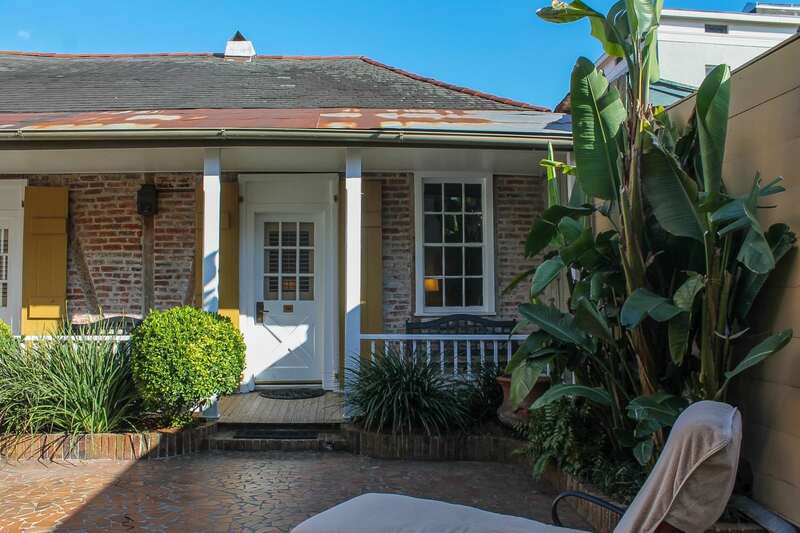 It strikes the perfect balance in the heart of the French Quarter. 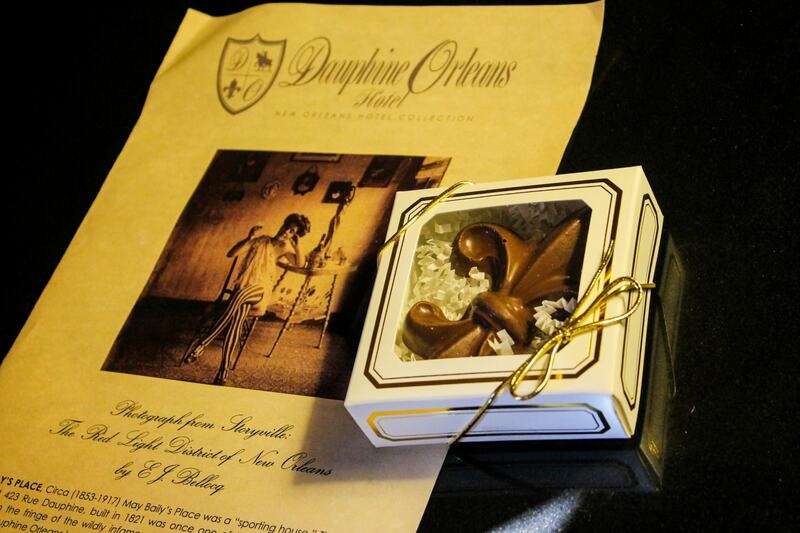 The Dauphine Orleans Hotel is part of the New Orleans Hotel Collection, which manages a collection of hotels and affiliated restaurants, bars, and lounges. 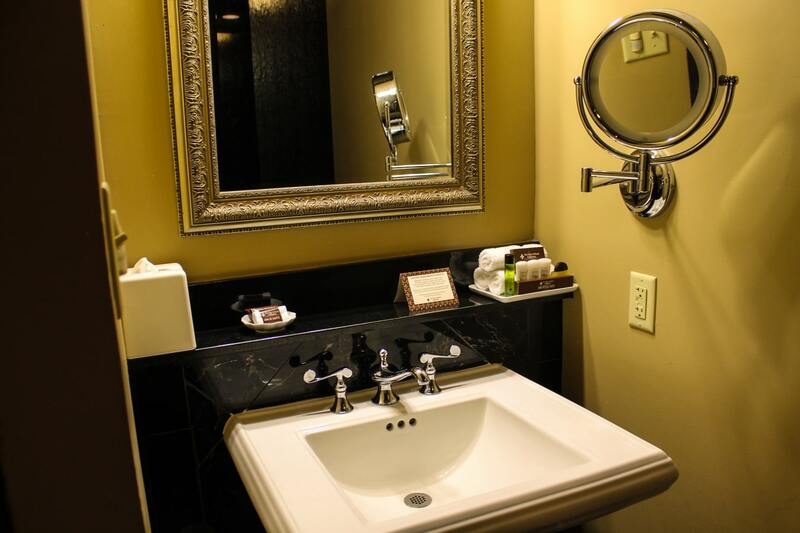 For availability, rates, and booking information click here!